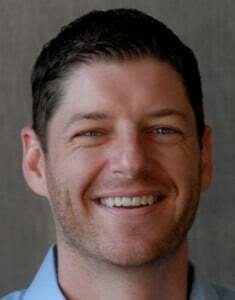 Paul Roetzer (@paulroetzer) is founder and CEO of PR 20/20, a Cleveland-based inbound marketing agency, and author of The Marketing Agency Blueprint (Wiley). Digital marketing has revolutionized the industry, and the job market. Corporate marketing departments and marketing agencies struggle to recruit and retain qualified professionals for career paths that did not exist three years ago, while academic institutions are faced with the need to adapt curriculums to the real-time nature of business. The most valued talent in the emerging marketing agency ecosystem will be hybrids. Although specialists, connectors, and soloists can still excel with focused competencies and service offerings, disruptors are built on the versatility of social-media and tech-savvy professionals. They possess exceptional copywriting skills, along with dynamic personalities that enable them to build strong personal brands. Hybrid professionals are trained to deliver services across search, mobile, social, content, analytics, web, PR, and email marketing. They provide integrated solutions that used to require multiple agencies and consultants. — The Marketing Agency Blueprint (Wiley), pp. 68. Forward-thinking organizations seek hybrid professionals who are highly proficient writers, analytical and tech savvy, with a strong grasp on business, IT and human behavior. These next-generation professionals excel in the emerging core-marketing disciplines of mobile, analytics, social, web, search and content. They envision on a strategic level, building fully integrated campaigns, and they have the capabilities to execute on the tactical level, conducting activities that drive real business results. But, there is a talent gap. Your organization can bemoan the lack of qualified professionals in the market, or it can take the initiative to create dynamic internal education programs, find candidates with A-player potential from diverse educational backgrounds, and develop employees into the hybrid professionals who will become the future leaders of our industry. The rate of change, continually accelerated by technology innovations, has created growing demand for tech-savvy marketing professionals. Specifically, trends and shifts in consumer behavior, business processes, software, data analysis, communications and marketing philosophies have impacted the essential competencies and traits of prototype marketers. Selective consumption is the basic principle behind inbound marketing, the philosophy made popular by HubSpot. In essence, consumers are tuning out traditional, interruption-based marketing methods, and choosing when and where to interact with brands. As a result, organizations in every industry are shifting budgets away from print advertising, trade shows, cold calling and direct mail toward more measureable and effective inbound marketing strategies—fueled by content and social—that cater to consumer needs. Thus, marketers must be trained to plan and execute inbound marketing campaigns, integrated across traditionally siloed disciplines. Marketing campaigns are not about winning awards for creative, building the flashiest websites, gaming Google for higher rankings, generating mounds of media coverage, or negotiating the lowest cost per thousand (CPM) as means to interrupt the largest audience. The job of a marketer is to produce results that impact the bottom line. Marketers have the ability to consistently produce more meaningful outcomes—inbound links, click-through rates, website traffic, landing page conversions, content downloads, blog subscribers and leads—that can be tracked in real time and directly correlated to sales. The future of marketing belongs to the generalists, the hybrids. These marketers are the key to increasing efficiency and productivity, building an insurmountable competitive advantage and fueling your organization’s growth. So, the question becomes, is your business prepared to compete in the age of the hybrids?